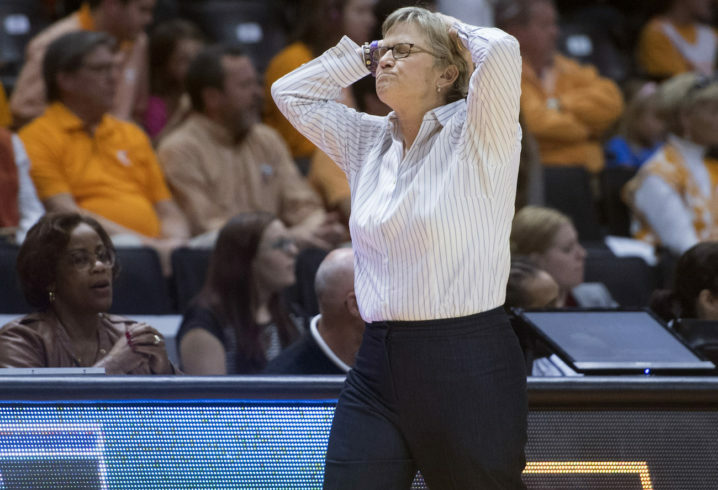 Tennessee fans aren’t happy with Holly Warlick after Sunday’s blowout loss to Mississippi State. The Lady Vols were hammered by the Lady Bulldogs 91-63. 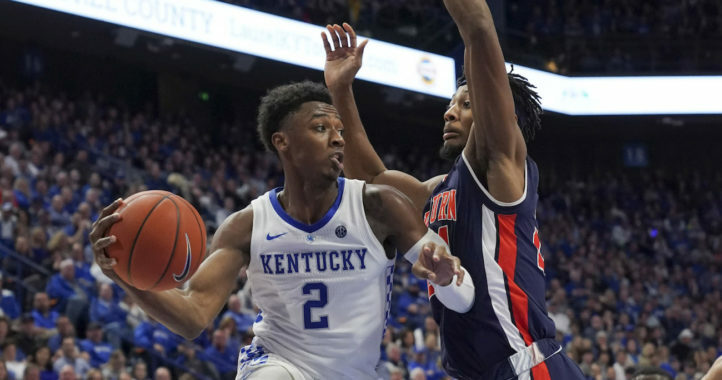 Tennessee is 15-8 overall this season and has never missed an NCAA Tournament; however, in Charlie Creme’s latest Bracketology for ESPN, the Lady Vols are projected out of the tournament. That would be a historical event in women’s college basketball. Tennessee is out for now. But, the Lady Vols certainly aren't out of this completely. Remember, it's a numbers game. There has to be 32 at-large teams and the word "deserve" is always relative to the rest of the landscape. Warlick took over for the legendary Pat Summitt, and she is 166-61 overall through 6.5 seasons. She’s never made it past the Elite Eight, and if things keep trending the way they are, the Lady Vols won’t even get a tournament bid this season. She needs to be canned…. unfortunately there’s no one on that bench to take her place. They’re all as bad as she is…. He just needs to clean house at the end of the season. I love Holly Warlick..She's all TN. But I have to say, this team looks miserably unprepared. Especially against upper tier teams. The team seems to be regressing and not progressing. Most notably on defense. 4 the 1st time I can see UT taking a different path at Head Coach. Holly Warlick is the worst coach in the SEC. Maybe they aren’t paying her enough. Really hate it for her. Tough to follow Pat for anyone. I don’t know enough about women’s coaches out there to know whose better but it is time. Stay away from our coach. Holly needs to resign as coach out of respect for the University. TN has given her ample time show improvement. She still is a great ambassador for TN, maybe if find her a nice office job that she could excel at. She deserves the benefit of her contract. If Tennessee is willing to pay her the balance of her contract, she should consider stepping down. If not, its not fair to ask anyone that has given the years she has to walk away without compensation.